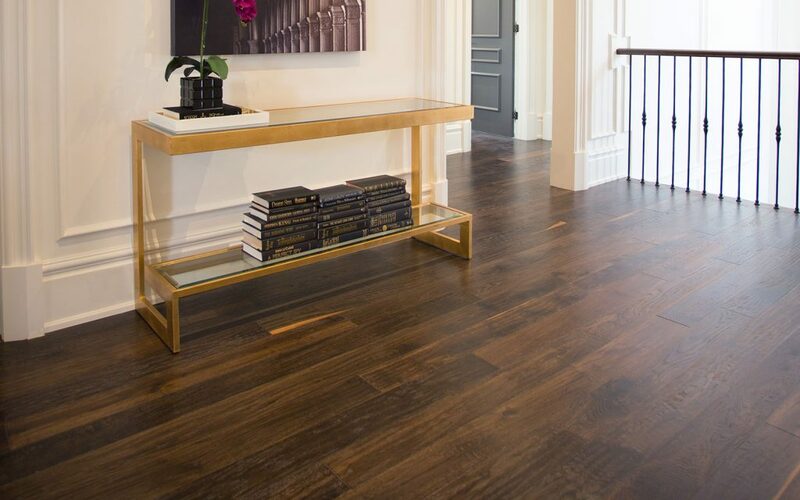 Vinyl has become one of the most developed flooring materials in the past decade. Vinyl can effortlessly mimic the look of wood, stone, concrete, and even metallic effects. Interior design has never had more options available and vinyl flooring in Vaughan has taken natural realism to a whole new level. Why Not Use the Real Thing? Two words: affordability and durability. Classic natural material choices are still popular and we carry them all, however, vinyl flooring is significantly easier on the pocketbook than hardwood or stone. Redoing a large space in mahogany or marble is no small financial commitment, but vinyl can give you the same appearance at a fraction of the cost. This can make large-scale renovations dramatically more feasible. Vinyl is also extremely durable and can resist chips, scratches, and scuffs. Many types of vinyl flooring are also 100% waterproof. This makes vinyl ideal for kitchens or bathrooms—places real wood fears to tread. As an added bonus, vinyl has more ‘give’ and retains heat more effectively than stone or concrete. A vinyl kitchen is much more comfortable for bare feet than a frigid stone or slate tile. The extra comfort means standing around on vinyl won’t cause aching feet—one of the unavoidable issues genuine concrete continues to struggle with. Vinyl is also much more low-maintenance than the genuine article. It doesn’t require special care to maintain finishes or have grout grooves that have to be scoured for trapped dirt and debris (although vinyl tiles do have groutable options if you love the look). Vinyl floors are sealed, smooth, and seamless and take little more than a broom and a mop to keep in top shape. The appearance of vinyl flooring in Vaughan is under the full control of the manufacturer. This allows for combinations of styles and shapes that would be costly or unfeasible with traditional materials. A floor could have a metallic wood sheen embossed alongside milk-white triangles and oak herringbone or chevron patterns. Slate hexagons can surround a central cork pattern. Aged cedar can flank reclaimed antique travertine. Or you could even opt for the retro style of the black-and-white checked kitchen. Regardless of what your personal vision happens to be, vinyl flooring can produce the look and texture to bring it to life. Be as bold, subtle, retro, modern, or futuristic as you like and vinyl floors will be there to accommodate. 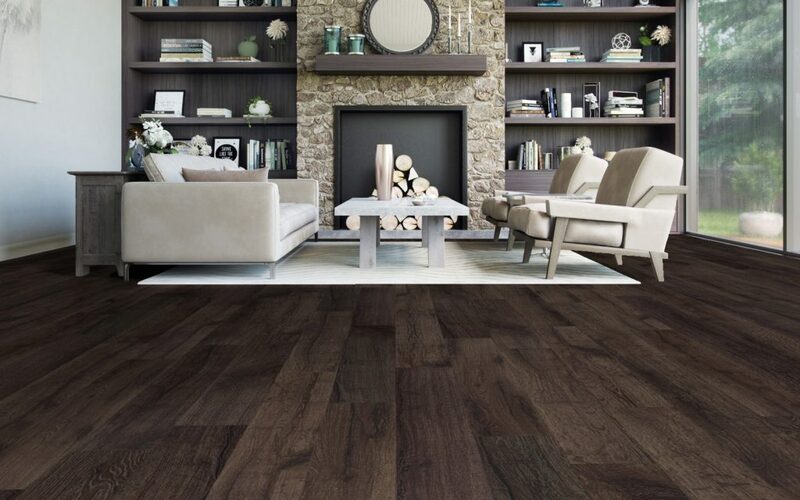 Not only can Vaughan vinyl flooring capture the texture and look of wood, stone, concrete, and metallic floors, but it’s also a breeze to install. Vinyl floors are extremely DIY-friendly and certain types, such as loose lay vinyl tiles, don’t even require tools. As a final bonus, vinyl tiles can be easily laid across a variety of surfaces, including existing tiles, so you can save time and money by not having to tear up a floor before replacing. Click vinyl tiles can even be used on uneven surfaces. Freedom of design, freedom of shape, and freedom of installation; vinyl’s got it all!